IOWA CITY, Iowa—On April 13, 2019, ACT will provide free breakfast before the ACT test to students at 11 test centers in Florida and two in Texas, launching the next phase of the nonprofit organization’s long-term initiative to help ensure that hunger does not affect its examinees. The expansion will reach roughly 1,000 students in Texas from Edinburg Consolidated Independent School District and more than 1,000 students in Florida across five different school districts including Bay District Schools, Clay County District Schools, Miami-Dade County Public Schools, Orange County Public Schools, and Pinellas County Schools. Students taking the ACT at the 11 designated high schools in Florida and two high schools in Texas—Edinburg High School and Economedes High School—will receive a complimentary breakfast before the test. According to Feeding America, one in six children might not know where they will receive their next meal. ACT is attempting to fight food insecurity prior to testing, particularly among America’s most vulnerable students, through the continued growth and expansion of this initiative. This second phase of ACT’s initiative to fight food insecurity is an expansion of the pilot program successfully launched in Virginia in October 2018. The initiative draws from ACT research demonstrating that students who experience hunger—particularly those who have missed breakfast—are less able to perform academically, especially when testing. “Hunger affects the educational experience of too many schoolchildren in Texas and across America, throughout the year and during testing season. This issue is very important to me and the communities I represent. 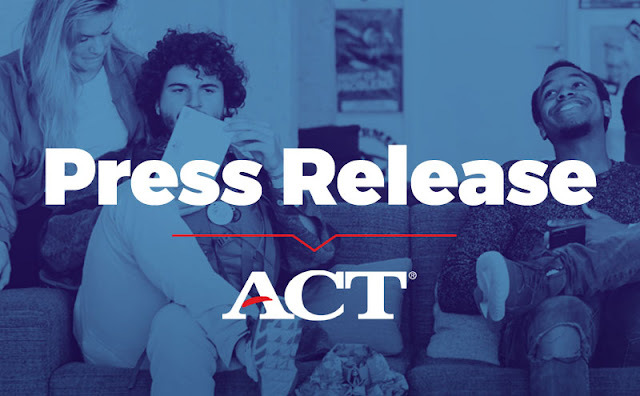 I applaud ACT on this initiative, and believe it will help equalize opportunities that can come from students’ performance on this exam.” –Texas State Senator Eddie Lucio, Jr.
“I want to commend ACT for recognizing the importance of students having a healthy breakfast before taking the ACT. In preparation for the upcoming testing on April 13, ACT will be supplying Dr. Phillips High School students a healthy and nutritious breakfast before the exam. A good breakfast will give our students a kick start to the morning and supply energy to keep them motivated while testing. Studies have shown that hunger can have a negative impact on student cognition and academic performance, and ACT has stepped in to make sure these students have the best possible outcomes when testing.” –Florida State Senator Victor M. Torres Jr.
ACT plans to expand the program further on upcoming test dates in a long-term initiative to combat hunger and help our most underserved students access breakfast before taking the ACT exam.